UL - 94316 Edison Denissov. Music for flute and piano. 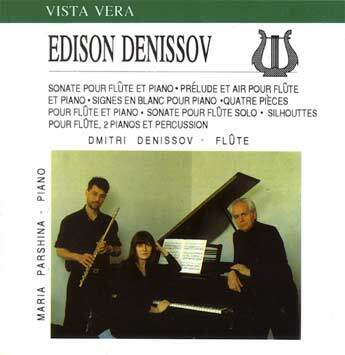 Dmitry Denissov, flute; Maria Parshina, piano. This is the first CD recording of all pieces. The recording was made by Vista Vera in 1994 under supervision of the composer before his untimely death in 1996.